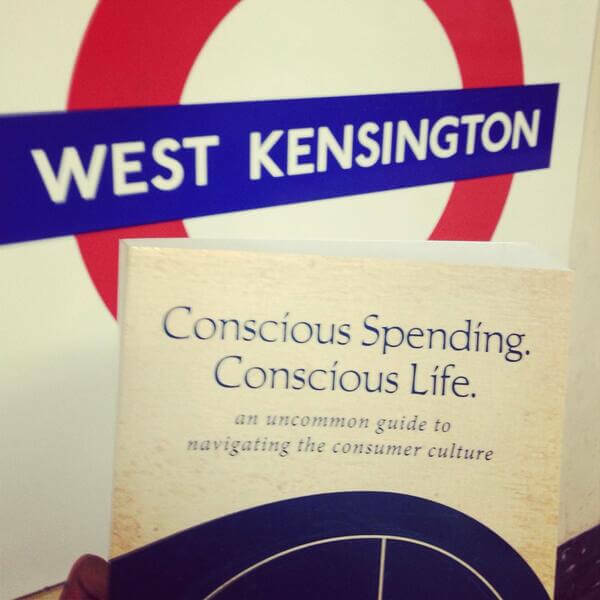 Conscious Spending, Conscious Life is travelling the London Underground. Really! As the above picture shows, it entered via West Kensington Station to participate in an imaginative program to turn the London subway system into a library for commuters. In a consumer world, it’s incredibly easy to make poor choices that haunt us for years. Commercial interests and sophisticated strategies do not take our well-being into consideration. I hope this book will level the playing field. This entry was posted in All Posts—newest first, News and tagged insights, common sense, consumer informaiton, books on the underground by Laurana Rayne. Bookmark the permalink.